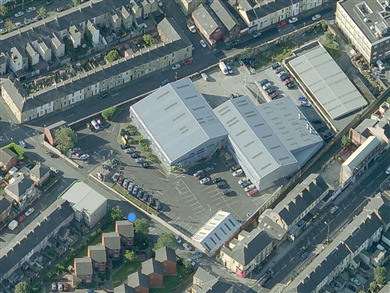 We are now based at a large ex Volvo dealership in the centre of Accrington, We are 5 minutes away from junction 8 on the M65. We are a professional dismantler of Renault cars and light commercial vehicles based in Accrington, Lancashire. Our business is family run and we have been established since 1990. At Specialist Breakers we offer a friendly and knowledgeable service thanks to our experienced staff.We can quickly identify and check the availability of component parts using our computerised part recognition system enabling us to provide you with instant confirmation of price and delivery for any specific parts. All components are cleaned, checked and tested before being offered for sale allowing you to buy with confidence. We guarantee substantial savings will be made on purchasing our parts when compared with new car parts. Over the years vehicle dismantling has acquired a less than complimentary image, we at Specialist Breakers are complete professionals with disassembling , garage services and an inventoried warehouse. All our new and used engines are cleaned, checked and tested before being offered for sale. As well as offering complete engines or engine parts for sale we also offer brand new engines at extremely competitive prices, compared to dealership prices. A brand new addition to our services includes a collection and specialist fitting service covering most of the UK. 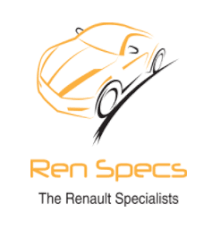 Our specialist fitters are all timed served Renault trained mechanics with a combined experience over 100 years. We are open five days a week for sales and are set up to ship parts anywhere in the UK or overseas, we offer a delivery service within 2 working days for anywhere in the UK. With overseas shipments we use the quickest and most economical method according to the urgency of the requirement. We will handle your queries or orders by phone, mail, fax or email and payment can be made by cheque, debit or credit card. All our new and used engines are cleaned, checked and tested before being offered for sale. As well as offering complete engines or engine parts for sale we also offer brand new engines at extremely competitive prices, compared to dealership prices. 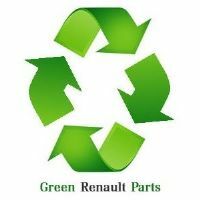 We stock all body panels including doors, bonnets, boots, complete doors with windows and bumpers from a whole range of Renault makes and models. We can supply interiors, seats, dashboards and even complete body shells. Our knowledgeable staff will answer your queries by mail, phone, fax or email and can rapidly confirm whether our stores contain the parts you are looking for. In addition to our quality used spare body parts we also stock brand new parts direct from the manufacturer. Here we often buy entire vehicles; we will then dismantle the vehicle and store the parts for sale. Once dismantled the parts are all cleaned, checked and tested before sale and carry a 90-day guarantee. Second hand parts are generally sold far cheaper than the replacement part sold new in a dealership. Many replacement parts (exhausts, electrical, brakes) sold by dealers are not the original part but a copy of the original part and so by buying the parts from Specialist Breakers, you will be buying the identical spare part that was originally fitted to the vehicle during manufacture, giving you the confidence that the part is genuine at a more affordable cost. Such is our confidence here that all parts sold come with a 90 day guarantee. Our used parts come from insurance total loss vehicles rather those end-of-life vehicles which means a higher quality component. In fact 90% of our used parts come direct from motor insurance companies with whom we have contracts. We are open five days a week for counter sales and are set up to ship parts anywhere in the UK or overseas, we offer a delivery service within 2 working days for anywhere in the UK. With overseas shipments we use the quickest and most economical method according to the urgency of the requirement. We will handle your queries or orders by phone, mail, fax or email and payment can be made by cheque, debit or credit card.